Looking for an easy last minute treat to make for the Big Game? 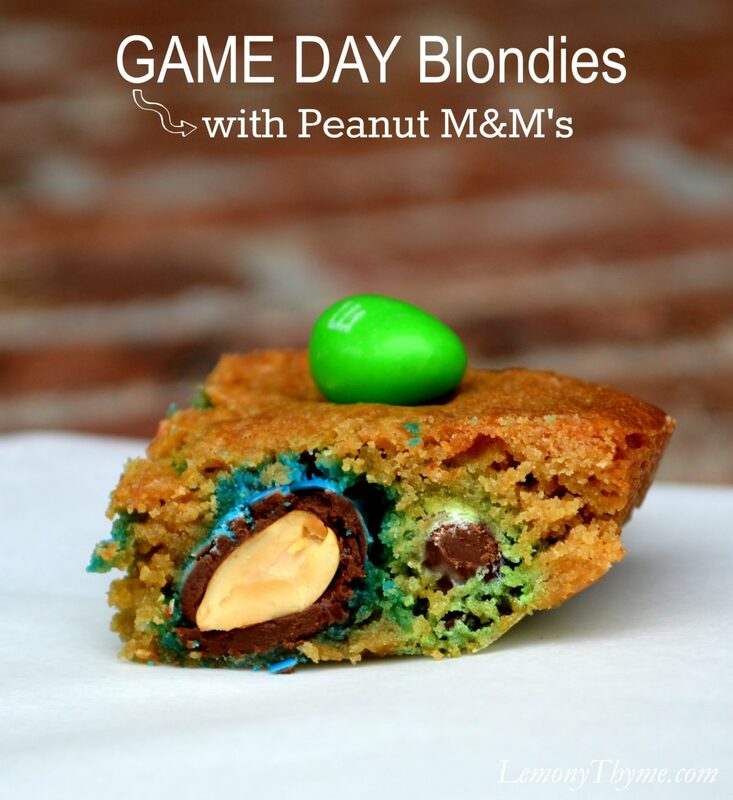 Nothing could be easier than Homemade Blondies and customizing them to your team colors is just a bag of M&M’s away. For our GAME DAY Blondies we chose Peanut M&M’s in Green & Blue representing the Seattle Seahawks and Red & Blue for the New England Patriots. May the best team win!! Who am I kidding??! I grew up in New England and with the way I’ve drawn it up it’s Pat’s all the way. In a large bowl, mix all the ingredients with a wooden spoon until well combined. Spread into an 8x8 pan coated with cooking spray. Bake 20-25 minutes until golden brown. Cool completely. Cut into bars.